P1. Fashion Dog Hat. A hat that really fits! 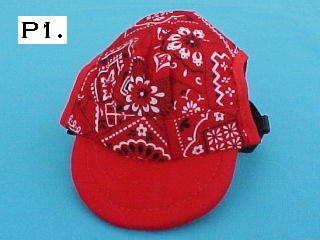 Available in the same colors as hats for a matching set. P11. Dog Bow Tie. 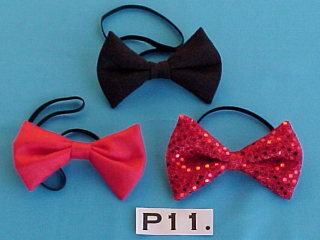 Only $7.50 Dress up your dog with this stylish Bow Tie, available in red, black or red sequin. 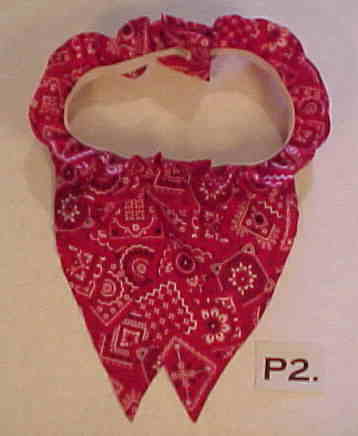 8 - Fits Dog Necks 7"-9" 10 - Fits Dog Necks 10"-12" 12 - Fits Dog Necks 12"-14" 14 - Fits Dog Necks 14"-16" 16 - Fits Dog Necks 16"-18" 18 - Fits Dog Necks 18"-20" 20 - Fits Dog Necks 20"-22" 22 - Fits Dog Necks 22"-26"